So exciting that Marriage Equality is now legal. I'm taking bookings for 2019 and 2020 please make contact for your special day. 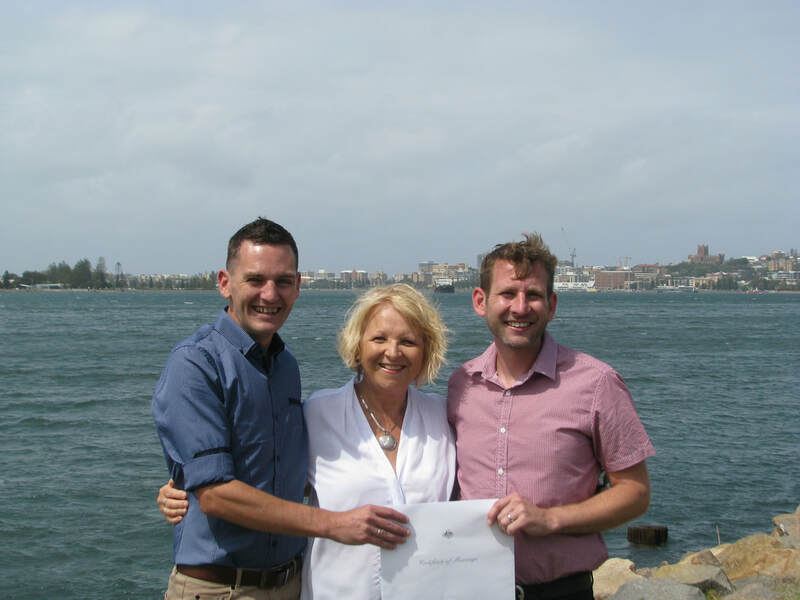 As a Marriage Celebrant committed to all couples I can help you have the day that you want. It is your celebration, make it your own just like these two did. The Green Cathedral is an exceptional place for your wedding. As a marriage celebrant living at Boomerang Beach, I can create your personal wedding ceremony in this unique setting. Alternately you may prefer a beach wedding on magical Seals, Elizabeth, Blueys or Boomerang Beach. Celebrate your ceremony on the shores of one our Pacific Palms beaches. 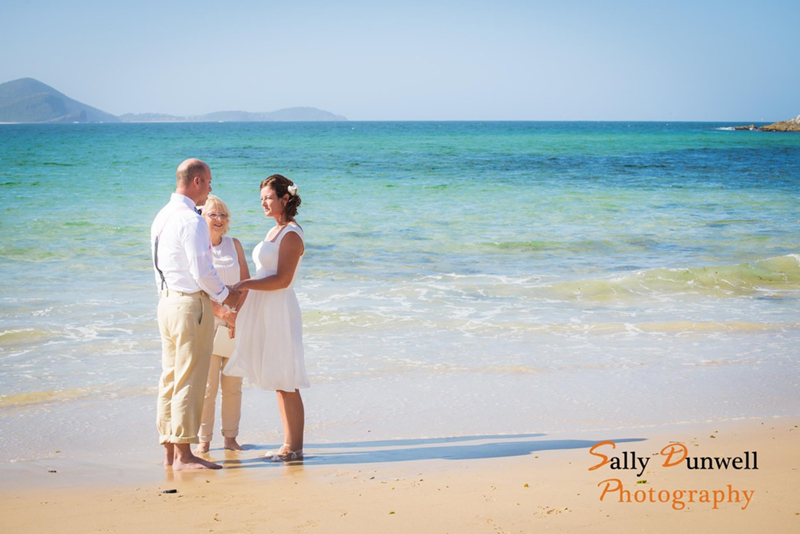 As a marriage celebrant I can create a relaxed, fun ceremony on the white sand of Boat Beach, Seal Rocks or the beach of your choice. We can even stand in the water as this couple from Texas requested.